Many supplements claim to raise testosterone levels, including fenugreek. Increases in testosterone, the most anabolic, or growth-inducing hormone in your body, would lead to increases in lean muscle mass. Increases in testosterone also lead to increases in fertility and improved sexual health, as well as stimulating your immune system. Unfortunately, fenugreek does none of these things. 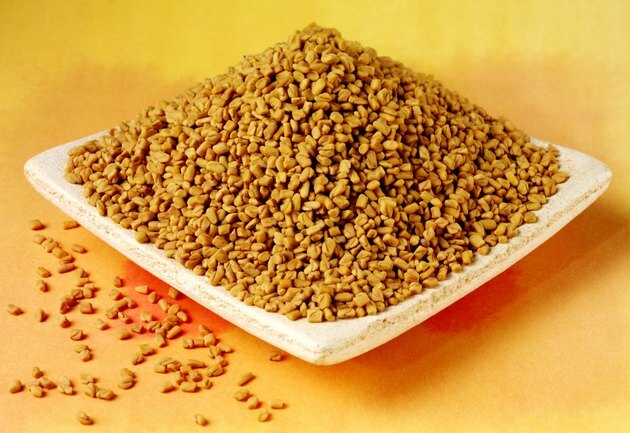 Fenugreek is literally Greek hay, and is commonly used in cooking. It is currently produced in largest quantity in India. Fenugreek is traditionally used in the preparation of curry powders, pickles and pastes. The dried leaves have a strong smell and are quite bitter. Fenugreek is said to have numerous medicinal properties, including relieving arthritis pain, treatment of diabetes and assistance in lactation. Only recently have claims of increases in testosterone been advanced, and those only by the manufacturer. Testosterone is a steroidal hormone. This refers only to its chemical construct, not to any specific properties. Many compounds are steroidal in nature based purely upon their construct, but do not raise testosterone levels. Vitamin D3 is a steroidal compound, and so is estrogen. Neither contributes to increases in male fertility or improvements in the anabolic process. Some steroidal hormones increase your chances of lactating - regardless of gender. So just because a compound may be steroidal in nature does not mean it increases testosterone levels. As of June 2011, a thorough review of available literature reveals no studies that support the use of fenugreek in raising testosterone levels. A study showing no effect on testosterone levels, however, is readily apparent. In a 2009 study published in "Medicine and Science in Sports and Exercise," fenugreek supplementation was conclusively shown to have no effect on the hormonal profile of the test subjects. In a study on male and female rabbits published in "Contraception" in 2006, fenugreek not only lowered circulating androgens, including testosterone, it decreased fertility in both genders.